The champion roster of one of the best free PC games available has long since topped 100, and Riot Games have lately adopted a policy of polarisation. The League of Legends devs have pushed characters into specific niches to ensure they remain distinguishable from one another – but introduced some new problems in the process. Their biggest current problem is named Cassiopeia: the half-snake mage whose venom has been inadvertently sucked from her veins. Riot’s intention was to distil Cassiopeia to her greatest strength – as a single target, late game, DPS-focused mage. The idea was that she’d wind up with a clearer identity as a result – but players have complained that Riot have broken from Cassiopeia’s lore in the process. When Riot amplified the champion’s single target damage, they reeled in her AoE power in the name of balance – but in doing so lost the damage-over-time that signified the poison in Cassiopeia’s backstory. 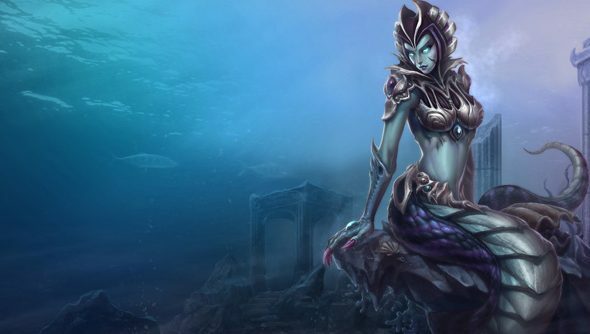 “Poison has been an important part of Cassiopeia’s thematic identity, and a part of it that many people have deeply enjoyed, so this direction was dampening that a bit and thus costly in that sense,” Riot Stashu admitted in the LoL forums. The plan now is to squeeze some Cassiopeia changes into testing, with the aim of finalising them in time for the next couple of patches. Riot intend to preserve the champion’s new specialisation, but recover some of the “poison feeling” that’s been missing. Are there any other LoL champions you feel might have lost their way after an update? And what’re your thoughts on the new LoL jungle?